We saw chef Jowett Yu on MasterChef (on Dan Hong’s team) make a de-constructed lemon tart for the first Battle for Immunity Challenge this year, I searched the internet a couple days later hoping to find the recipe on the MasterChef website. The judges had made such wonderful comments, I felt like I needed to try this dish. Unfortunately I could not find the recipe. So I decided to try and make my own, based on what I could remember from the show. Depending on the lemons you use this recipe may be a little tart, no pun intended. 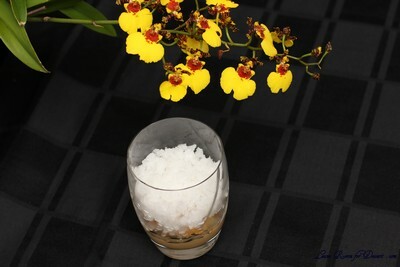 You can always add extra sugar to the granita or curd if you prefer. 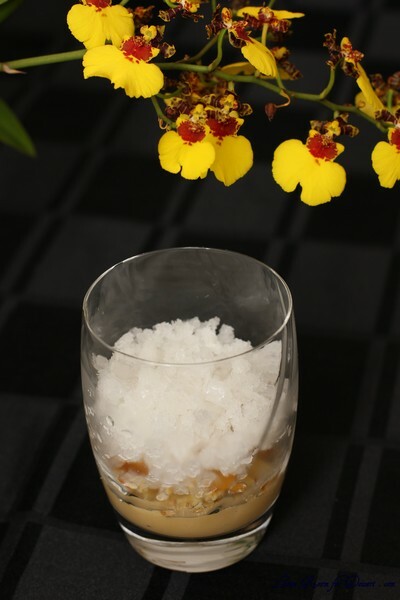 I wanted to make sure the granita was nice and ice-y, and not syrupy which is why I didn’t add more sugar here. I know this dessert is unlikely to be as nice as the one made by Jowett, although experimenting with food is so exciting, and rewarding even when it’s not perfect. I have only had a chance to make this once, and try to write out the recipe as I went along. I hope if you try it, you enjoy it. P.S. 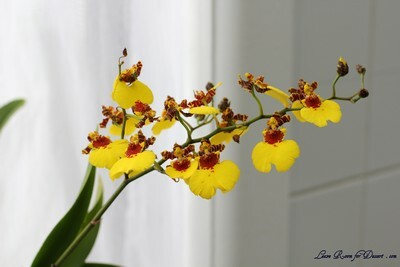 So happy my yellow dancing oncidium orchid has re-flowered. I bought it last year in flower, probably grown in Queensland where it is much hotter than Sydney, so I had doubts as to what our winter would do to it. I have had it outside with my cymbidium orchids, without a greenhouse, and it seems very happy. (much happier than inside where it shrivels a little). I have a few more oncidiums that I haven’t seen flower, so in a few years I hope to update you with the results of keeping them outside. Place all the ingredients into a small/medium saucepan, stir over medium heat until the sugar dissolves, turn to high/medium and cook until boiling. Boil for five minutes. Remove from heat and strain into a loaf tin. Place the tin into the freezer once the mixture has cooled. 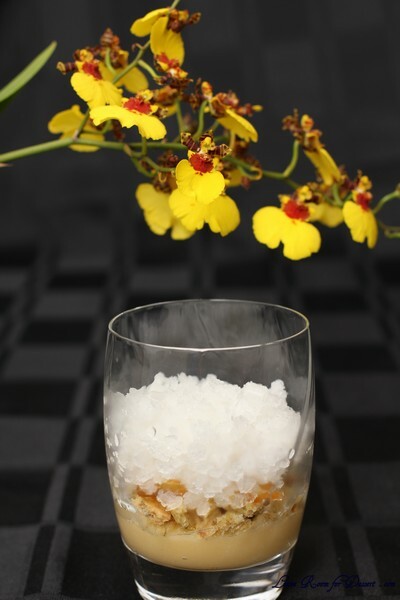 Once frozen (leave overnight or a few hours), use a fork to break into ice crystals. You can do this twice to make the granita fluffier. Store in the freezer until ready to serve. Whisk together the eggs with the caster sugar and cornflour in a medium saucepan, until light and thick. 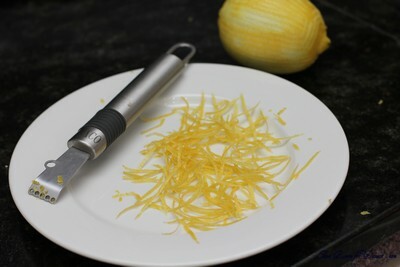 Whisk in the lemon juice and zest. Place the butter in the saucepan with the other ingredients and place on medium heat. Whisk until the butter melts into the mixture, and then the whole mixture comes to the boil and thickens. Once thickened, strain the curd into a bowl and cover with plastic film touching the curd to prevent a skin forming. Keep refrigerated until ready to serve. Place all ingredients into a small/medium saucepan. Place on low/medium heat and stir until the sugar has dissolved. 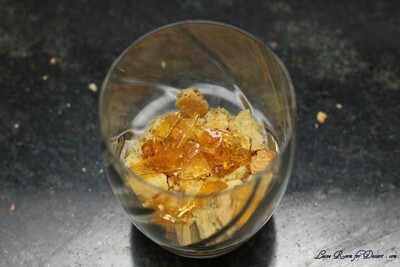 Once the sugar has dissolved, stop stirring and turn the heat to high.Cook on high until the mixture turns a golden colour (~150-160C). Pour onto a tray lined with baking paper. 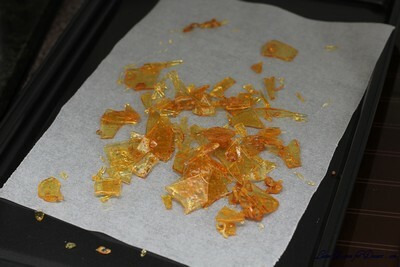 Once cooled, you can break or chop into small pieces. Store in an airtight container if storing, although best used on day of making. In a food processor, process the flour, icing sugar, pistachios for a few pulses. 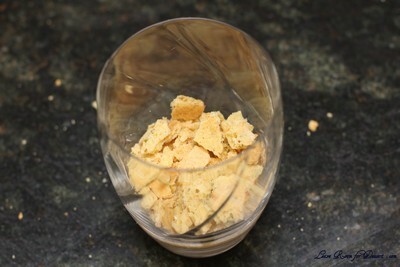 Add the chilled butter, process until like breadcrumbs, and little butter can be seen. Add the egg yolk, reserving the egg white. Blend together, If the mixture does not start to come together, add a bit of the egg white, until the pastry starts to come together. Place the pastry on a lightly floured board and knead until it comes together. 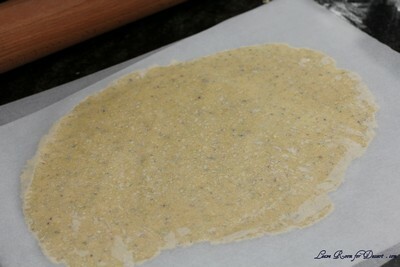 Roll the pastry between two sheets of baking paper until 3mm thick. 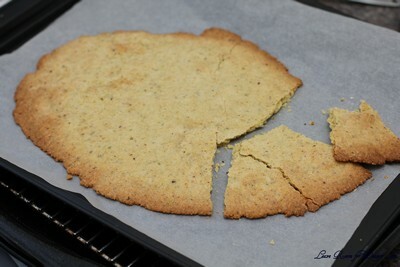 Place the pastry on a baking tray and remove the top piece of baking paper. Preheat oven to 180C. Once the oven is at temperature, place the pastry on the tray into the oven and cook for approximately 15 minutes, or until the pastry is lightly golden. 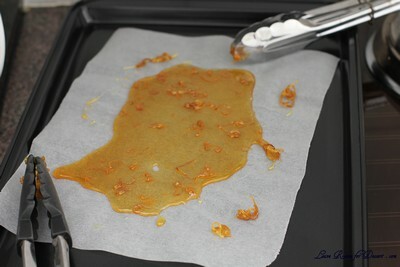 Once cooked, remove from the oven and cool for 5 minutes on the tray, Then cool on a cooling rack. Break into pieces (removing any parts that are too brown). Store in an airtight container until ready to serve. 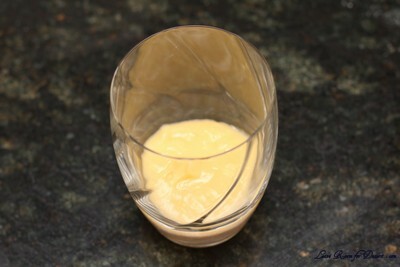 Spoon the lemon curd into the bottom of a large bowl glass. Place the broken pastry and toffee on top. 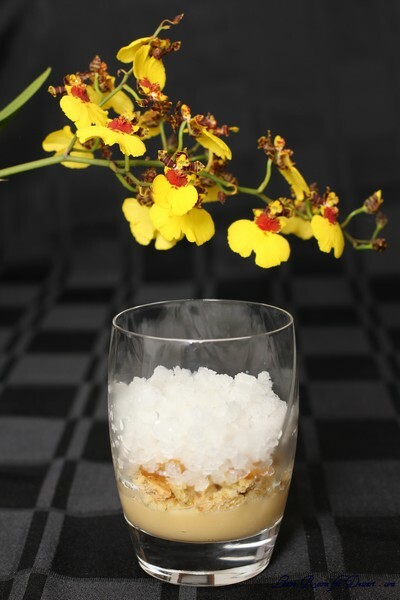 Top with lemon granita and serve straight away. As I love lemon I found this dessert lovely, it would be a really good dessert to eat during summer as it is very refreshing. Anita, your pictures are just fantastic and what a beautiful orchid!!! I saw that episode and was completely blown away by that tart! It really looked like the dish of the battle. Congratulations on your beautiful homage to the original. What did you think of the taste? Was it better than a “constructed” lemon tart? Hi, the dish looks great and am dying to try it out…but im a started and wanted know what zest is? may be a silly question.. but would be thankful if you would let me know..